Last night, with a couple of hours to spare, I decided to get on and move my blog away from WordPress.com to my own hosting. Why do this? This was I won’t lose any of my Google ranking weight, and users won’t get the dreaded 404 on that key post they were looking for. WordPress is an awesome blogging platform; it moves out of the way so you can focus on writing content. And with the large plugin and theme offerings out there, there’s no excuse to share your knowledge with the wider community. Get on and write something! A few days ago I took the leap and upgraded my Macbook Air to OS X Lion. After a seamless (and typically Apple) upgrade process, I was enjoying the benefits of an even more refined operating system. However, one of the first things I did was test out my mobile broadband – and there the problem began. 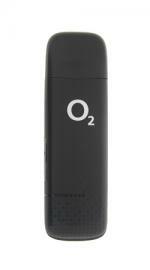 I have an O2 mobile broadband dongle, the ZTE MF100 USB stick. When I originally installed it a small application called O2 Mobile Connect installed and worked a treat for connecting to the O2 service. After upgrading to OS X Lion the application crashed as soon as it opened – I assume because of a change in an API somewhere. After hunting around the O2 site (and Google) I could find no update on getting the Mobile Connect application to work on Lion, or even where to download it. It would appear that O2 have ditched supplying the ZTE dongles in favour of Huwaei branded sticks. Note that this is for Pay Monthly Broadband – I think the details are different for Pay & Go customers. And hey presto, I now have mobile broadband working again. Hope this helps anyone out there trying to get it working. In late April (this year) I started out as a novice replacing our main bathroom. Last night I finished the bathroom project, and although still a novice, I’ve certainly learned a thing or two. It’s taken me two months, and a lots of hours of work, late at night and during weekends. I could have paid someone to do this, but I wanted the satisfaction of understanding how it works, and it’s been a nice distraction from work. The bathroom now looks nice and clean, spacious and modern, while retaining some of the history of the house (I’ve left the old radiator in, the door and window frames are the same). 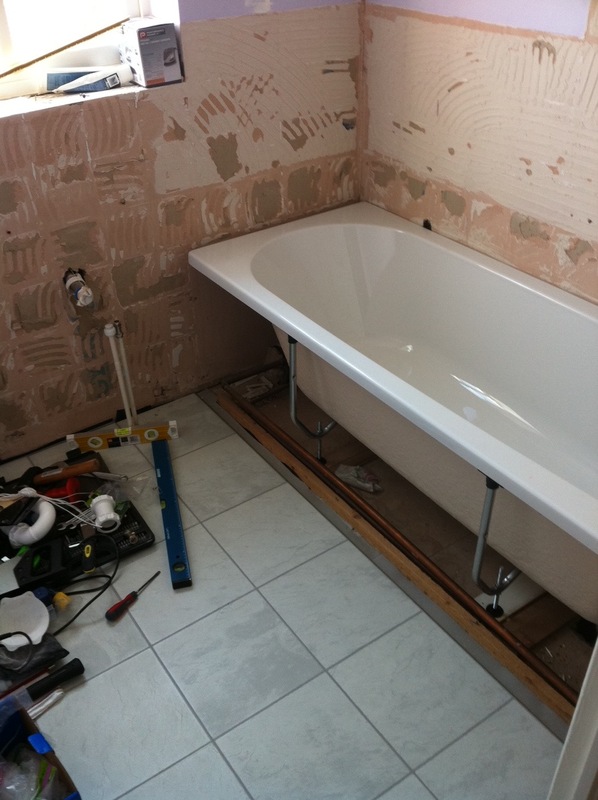 We have a new toilet, sink and taps, bath and taps, new floor, new tiles, new light, new mirror and rails. We’ve kept the old shower (which is actually quite new). It should be good for many years (and baths) to come! The most rewarding moments have been grouting the tiles (turns an ugly looking wall into a very nice finish), fitting the skirting board and connecting up the taps. 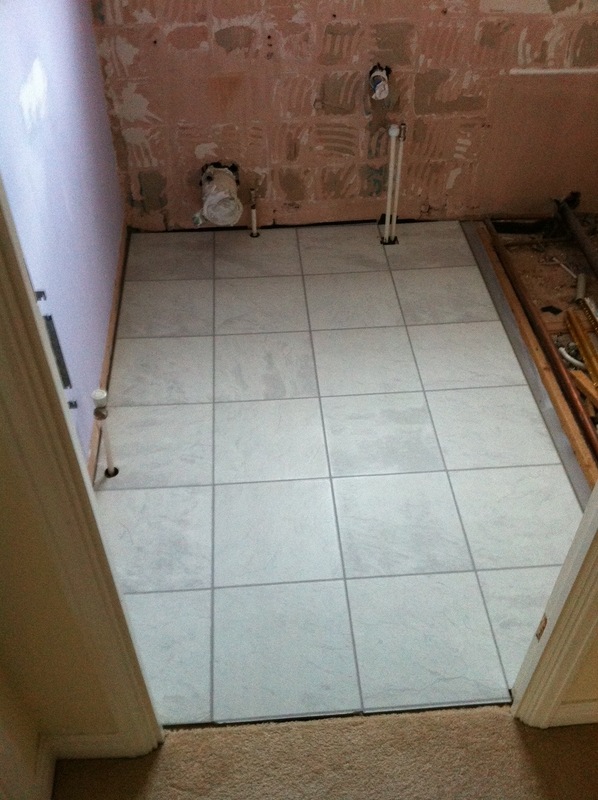 The one job I paid for was fitting the tiles – this took an experienced handyman a whole day just to cut and fix the tiles – I did most of the grouting. This would have taken me at least twice as long to do. Ripping out the bathroom initially took a lot longer and was a lot more difficult than I had anticipated. This may have been in large part to problems with leaking pipe stops and not having the right tool to undo the bath taps. Almost every plumbing joint I made leaked the first time around. Compression fittings like to be nice and tight, then they work fine without any PTFE tape or sealant. However, plastic pipe fittings (in particular the water inlet to the toilet cistern and the bath waste) took several attempts to get them sealed. I naively assumed that just fitting the supplied rubber washers would do the job. In the end I resorted to large amounts of silicone sealant – I’d pump this in first time from now on. Yes, bank holiday weekend. Time for Easter reflections, visiting family, putting your feet up. Also a great opportunity to get some DIY done. And with the wife and son away for the weekend, I decided to start one of several pending projects: replacing the main bathroom. 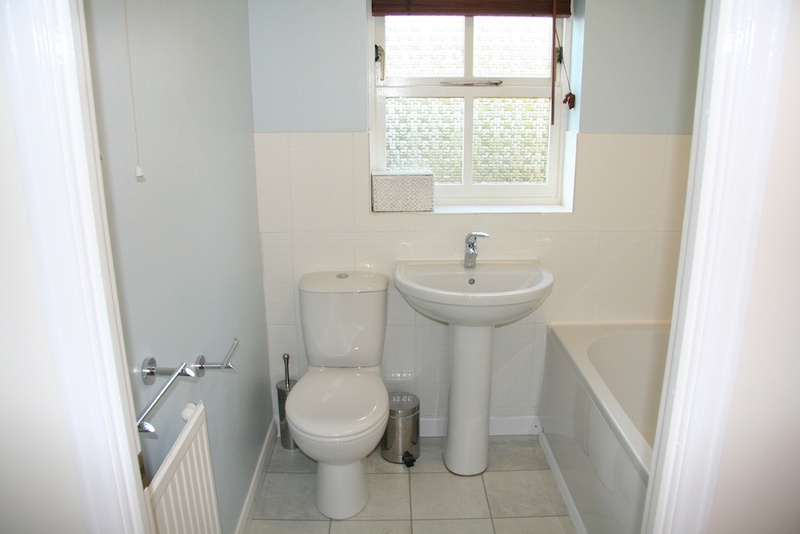 Our house was built in 1988, and both the main bathroom and the en-suite had not been touched since. From the beautiful stripy toothpaste style tiles to the faded pink sanitary ware, they were relics of a by-gone era of interior design, albeit functional relics. When we moved in we had the en-suite re-fitted (I only did the flooring and painting), so the other bathroom has continued to age over the last 12 months. My background in DIY is fairly limited – I can paint, lay laminate flooring, and generally solve most basic household problems. However I’ve never done any plumbing, tiling or bathroom work. 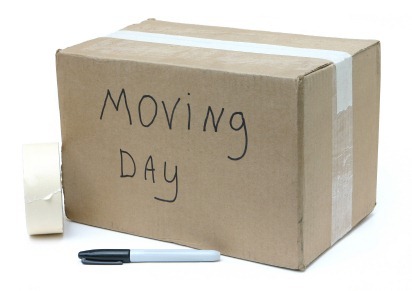 We only decided to get on with this early in the week, so we got a move on with choosing colours, flooring and tiling. We’ve had the toilet and hand basin in the garage since we moved in. So I started off by removing the light fittings (after turning off the circuits of course) and the radiator. Removing a radiator is easy – but don’t make my mistake which was answering the door, chatting for 10 minutes, and then hearing the pitter-patter of water dripping through the kitchen because I hadn’t fully tightened up the water pipe valves. Next I removed the electric shower – again this was easy, but I had to take note of how it all went together. And of course turn off the water before hand (and drain the system). Then I attacked the tiles with a bolster chisel and club hammer – most of them came off fairly easily (although it’s still hard work). I cut the pipes to the sink taps with a pipe slice, unscrewed the supporting bolts and disconnected the waste pipe. Out came the basin and pedestal. Easy. I popped two pipe caps over the supply pipes and moved on. Off came the side of the bath and more pipes to disconnect. In the following two hours I used up my quota of expletives as I wrestled with getting a spanner (which had to be the largest one I had) into an impossibly small hole behind the bath with an overflow pipe in the way. One blistered hand later, I got the bath out (gingerly moving it and hopping it over the waste pipe). 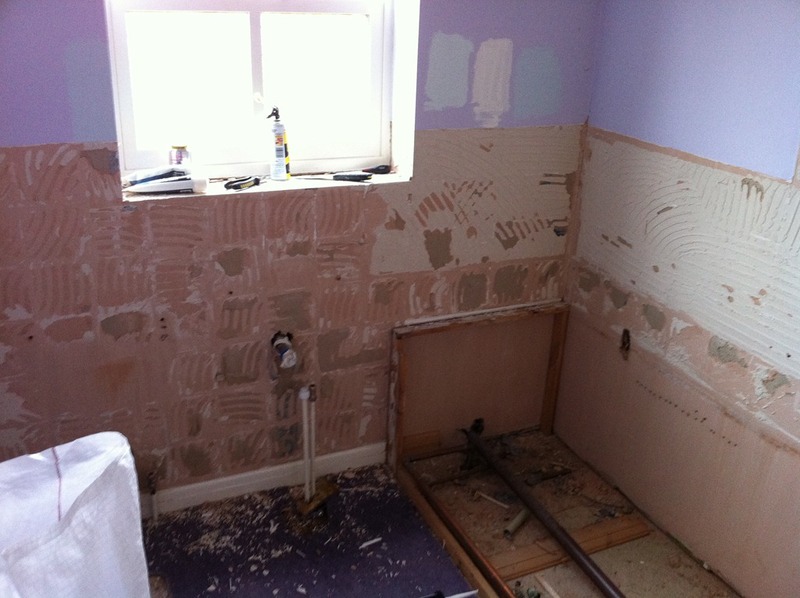 At 10pm last night I was feeling very pleased with myself – all pipes capped, two units removed, most of the tiles off. I had even turned the water back on to check the pipe work was OK and no leaks. Then pop, and splash, and more dripping. One of the pipe caps had come off. A cycle that I’ve been through many times: switch off the water, drain, mop up, catch the drips in the kitchen and fixing isolation valves. Switch the water back on, wait and check for leaks. Today the toilet came out (surprisingly easily) leaving more pipes to sort out. New building regulations state that isolation valves should be fitted to all water pipes in new bathrooms. These valves mean that you can switch off the water supply to an appliance without having to turn off the mains water supply. I’ve spent hours today testing, tightening and re-testing these valves (and some deal of mopping up). My conclusion: wires are nice as they bend and you can disconnect them. Pipes do not bend and cannot be turned off. Electricity can only spark – water drips everywhere. Check your pipe sizes before buying anything – don’t rely on B&Q advice (like I did). This probably means removing the side of your bath to have a look (my hot water was 22mm rather than 15mm). Give yourself plenty of time! As Facebook celebrates 500 million users (yes, that’s half a billion), I’ve been thinking about the impact of this 5 year old website, which is now so much more than just a website. It’s founder Mark Zuckerberg, just 26 years old (a year younger than I), has relentlessly steered his company through numerous twists and turns with more often than not a deft hand for creating a globally successful product. In Time magazine’s Person of the Year 2010 article (naming Mr Zuckerberg as the accolade’s holder), a few startling facts stand out which help in painting the picture of the sheer scale and reach of Facebook. Currently 700,000 people every day are signing up to Facebook. Each month an additional 1 billion items of content are added. Facebook has been translated (and is used) in over 75 languages, and if it were a country, it would be the third largest in the world. Zuckerberg has turned down numerous offers for the company, reaching $1 billion not so many years ago. He is clearly not motivated by the pull of wealth. No, he seems solely focused on building an ever more successful product that encourages its users to be ever more open with their thoughts, preferences and lives. What impact is/will Facebook have on our society? On Facebook everyone that you are connected to is labeled with the singular mark of friend, although we all have different depths of friendship, and some Facebook friendships are little more than outdated notions of acquaintance. Does Facebook encourage me to be more open? Perhaps not, but maybe it does provide me with a more convenient way to push my thoughts out there, letting others decide which of those they wish to consume. It is certainly a more liberal approach to friendship. Browsing through endless photo streams and keeping an eye out for other users’ activity can be an addictive pass-time, it can certainly feed boredom. Despite its liberal tendencies, it does not well facilitate intelligent discussion, more simply a juvenile expose of the latest thought that drops into one’s head. Considered opinion and researched thought do not find an easy home on Facebook, and so as a measure of our maturity and our society’s ability to build philosophical views, it is grossly devoid of such wrangling, instead valuing every thought and emotion as equal. For those who can discern the difference this is of little problem; we know when there is a time for presenting our minute old feelings and we know where to go for meaningful discussion and debate. But for the generation growing up with Facebook, will they know any differentiation? Will personal trivia become the staple diet of our relational connections? Having now finished reading “The Facebook Effect“, it is clear that Mark Zuckerberg’s deep conviction is to encourage openness, and contrary to Google’s approach of pulling information, Facebook allows individuals to push the information that they wish to share, and decide who they wish to share it with. The later of these emphases is held lightly by Zuckerberg, with the long-run hope that people will become less concerned with whom they are sharing with, and make such left wing contributions for the good of the world. As Facebook sets its sights on 1 billion users, we will need to question even further our identity, and just what we are projecting through electronic forms, and of that projection, what are we willing to stand for in the flesh. In 2010, there were 5 new posts, growing the total archive of this blog to 33 posts. There were 17 pictures uploaded, taking up a total of 739kb. That’s about a picture per month. The busiest day of the year was October 10th with 30 views. 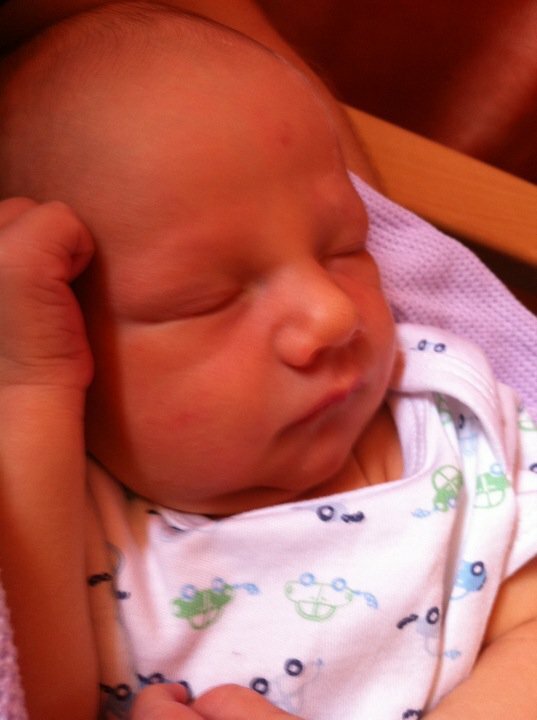 The most popular post that day was 5 reflections after 12 days of being a Dad. The top referring sites in 2010 were huggill.com, facebook.com, bigextracash.com, wiki.netbeans.org, and tryje.info. Some visitors came searching, mostly for wordpress business contact, kernel_data_inpage_error, moving business contact manager database, sam huggill, and bcm 2007.